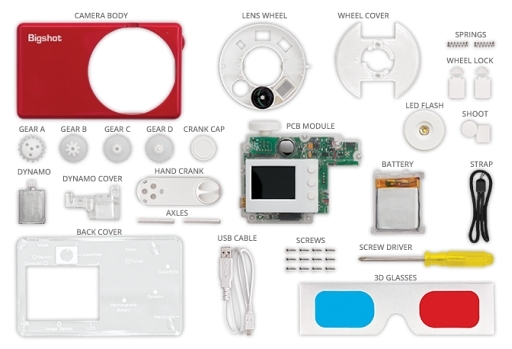 The project aimed at anyone who wants to learn how digital cameras operate sells a kit with the different camera parts neatly arranged in a box. As far as technical specs, the camera boasts a 3MP sensor, a 1.4″ LCD, an LED flash and some innovative features. 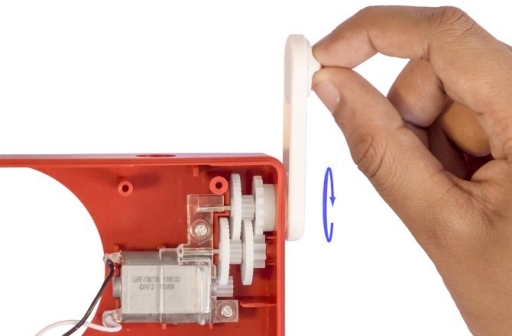 In addition to the rechargeable battery, there is a charging crank, so you can always give it a few rounds to get some more juice in it. This also means you’re never stuck with no power. Never. While it is more of a point and shoot, it features a lens dial similar to an iPhone Holga lens kit adapter. The rotary lens includes “regular”, panorama, 3D and wide angle. What I find to give this project even more added value is the learning center that you can access via the web (even if you did not buy the camera). 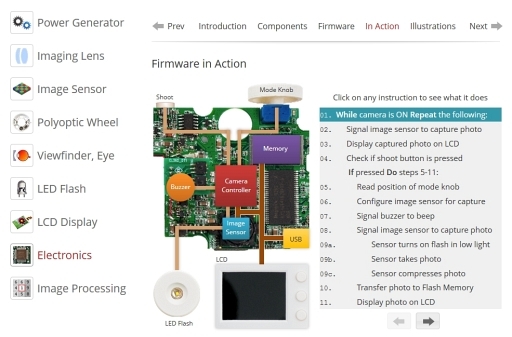 The learning center explain in layman terms what each of the camera parts do and how it relates to the other parts. It even has some animations that show the data-path a picture traverses when you click the shutter. 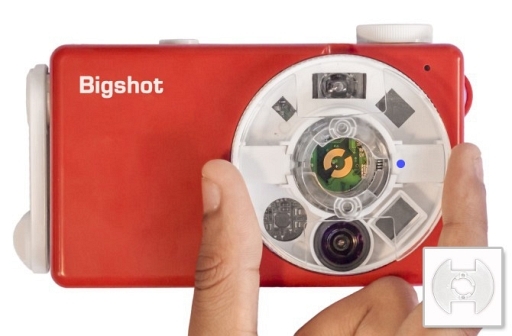 Bigshot Camera – $89 on the Bigshot store. Thanks for the tip, Itay. “We only ship to North America” WTF! Give ’em time. Distribution will eventually spread.